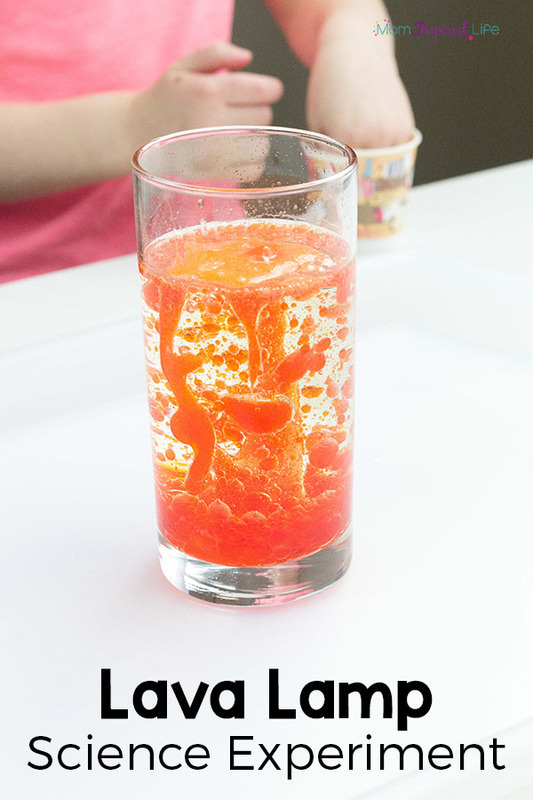 This lava lamp experiment is super cool! 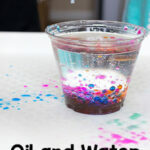 Your kids will love exploring colored water and oil, but a surprise ingredient will make this science activity even more exciting! It’s always a hit with the kids. 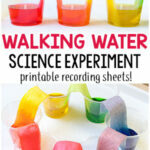 So grab a few household supplies and give this lava lamp science activity a try! 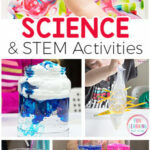 As part of our science lessons this school year, we are trying out all kinds of really neat science experiments and activities. 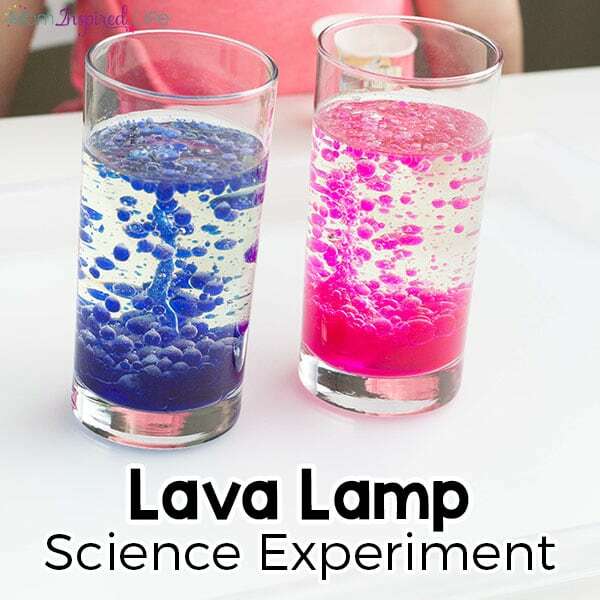 This lava lamp experiment tops the list! 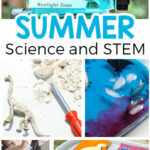 Both of my kids had a blast with this. 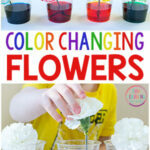 We’ve actually done it several times and with all different colors, but it never ceases to amaze them. It’s almost shocking how long they will engage with it. 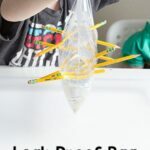 One great thing about this science experiment is that you only need a few supplies and your probably already have most of them in your home or classroom. *Disclaimer: Adult supervision is required for this experiment. You must supervise your children at all times while doing it. Fill a glass about 3/4 full with vegetable oil. Then pour in the colored water until the liquid in the cup is about 1-2 inches from the top. You don’t want it to overflow! Well, unless you want to turn it into an eruption experiment too. For this reason and quick cleanup, I like to do this on a tray. 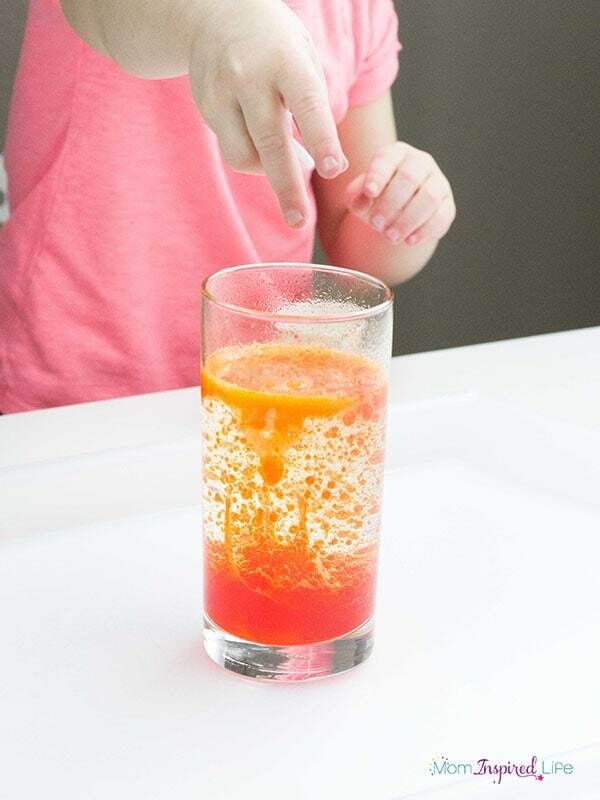 Let the children take turns adding a piece of an Alka Seltzer table to the cup. *DO NOT let them put the tablet in their mouth at any time. 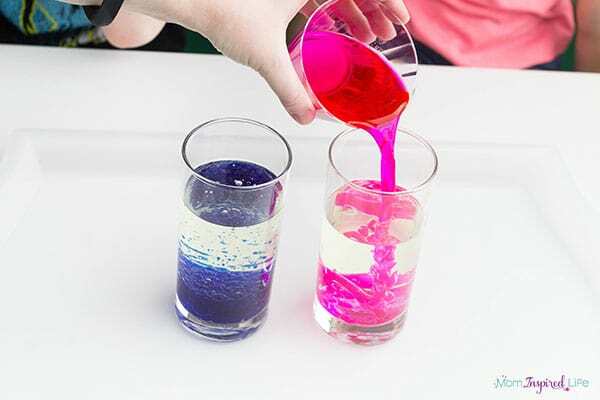 The water and oil do not mix and the oil doesn’t change color because the food coloring is water soluble. 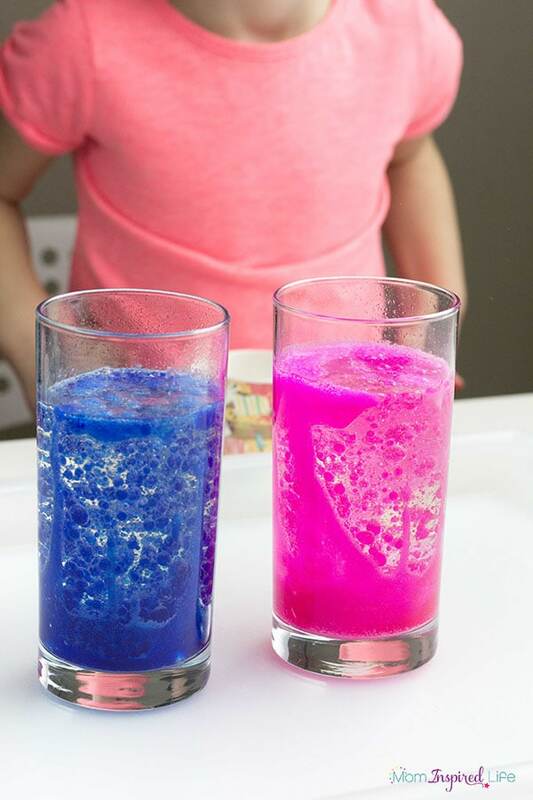 The Alka Seltzer reacts with the water to make bubbles of carbon dioxide. 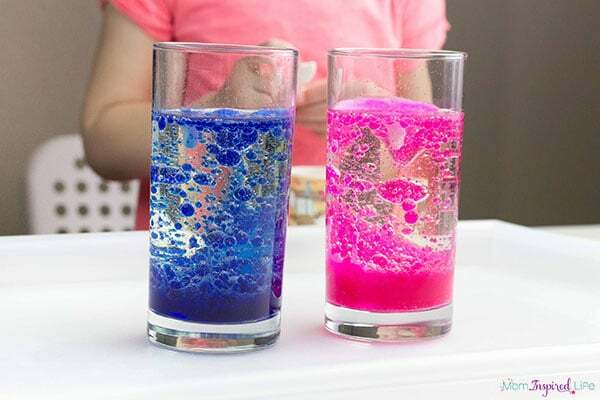 The bubbles attach themselves to the blobs of colored water and bring them to the top of the glass. When the bubbles pop the blobs of colored water fall back to the bottom of the glass.